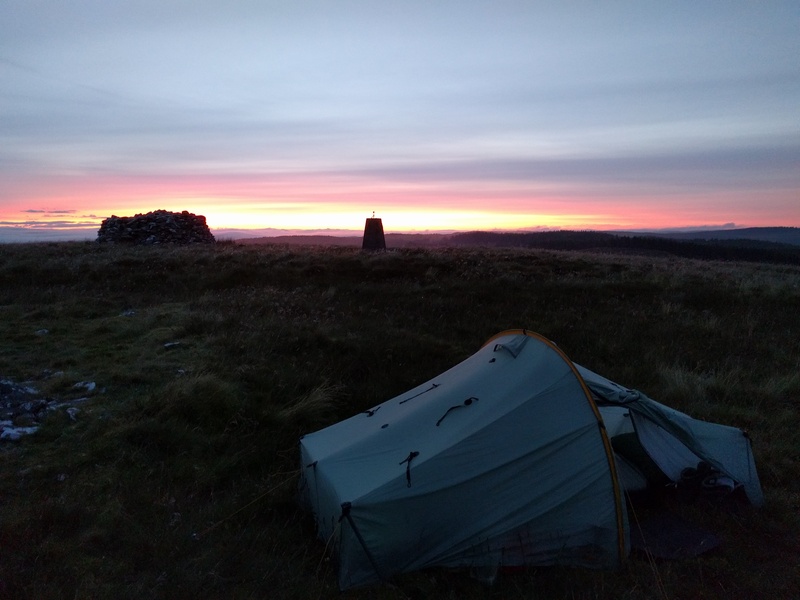 A couple of times now I’ve begun a walking trip by using the cover of darkness to get the travel over with – firstly using the night train to Plymouth for a weekend on Dartmoor last September. I seemed to cope ok with the lack of sleep that time, so I figured it would be fine again. 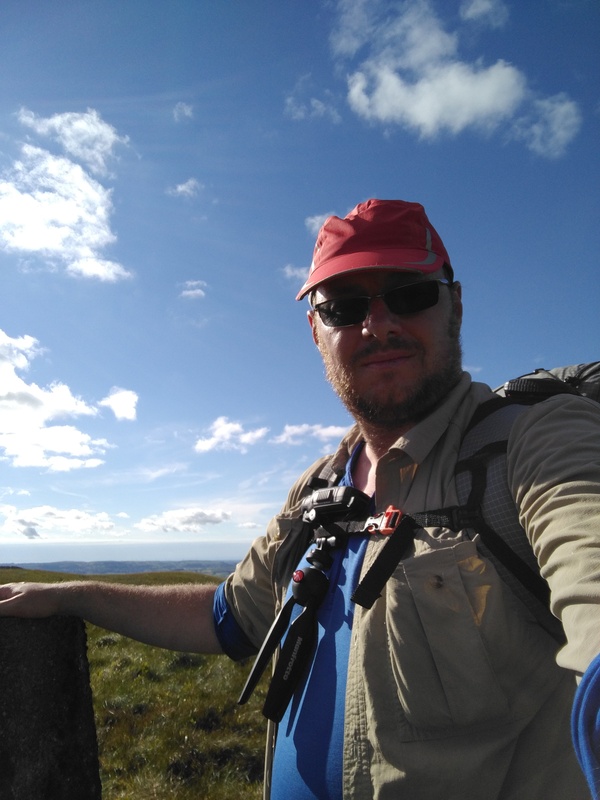 But this time I was using the National Express to get me to Swansea – seemingly the only way I could avoid using the best part of a whole day just to get to the start of the walk. I turned up at Heathrow bus station with only a few minutes to spare and made a beeline for the back seat like a naughty teenager: not so much to cause mischief as to avoid having people making their way past me during the night in the hope I may get some sleep. It sort of worked. 04:30 in Swansea and delighted to find the coach station was next to a 24 hour Tesco, meaning I could use the dead hour and a half before the first train to Llandovery to sort my shopping out and so not eat into the walk. This plan would have worked brilliantly were it not for the fact that it was the early hours of Monday morning, so due to Sunday trading hours the shop didn’t re-engage 24-hour mode until 6am. Or in other words 3 minutes before my train departed several streets away. Bugger. I did find a convenience store though – the type that specialises in familiar home comforts for those from the other end of Europe. That sorted water and first breakfast – a bag of delicious mini croissants filled with cream and black cherry sauce. 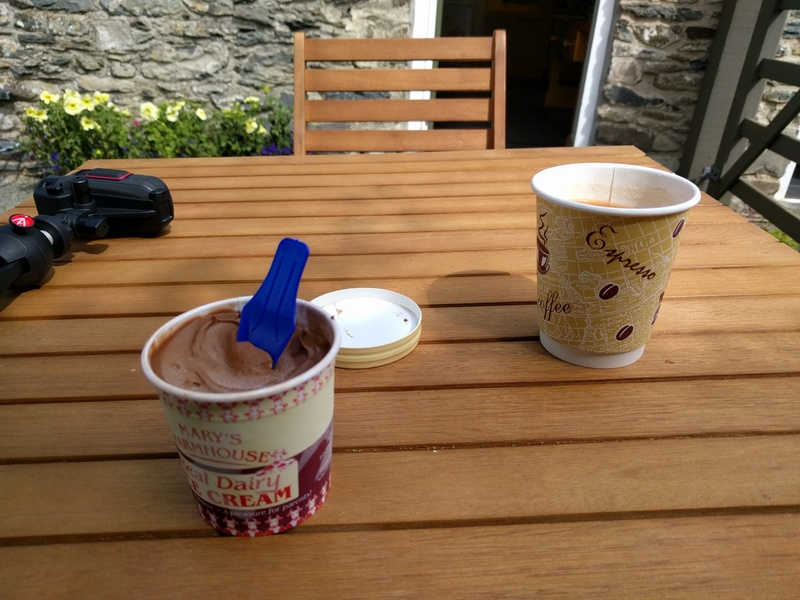 Arrived in Llandovery, I headed for town with a quick stop off for second breakfast – an important Cambrian Way ritual – and then onto the hardware store for meths and a box of matches. 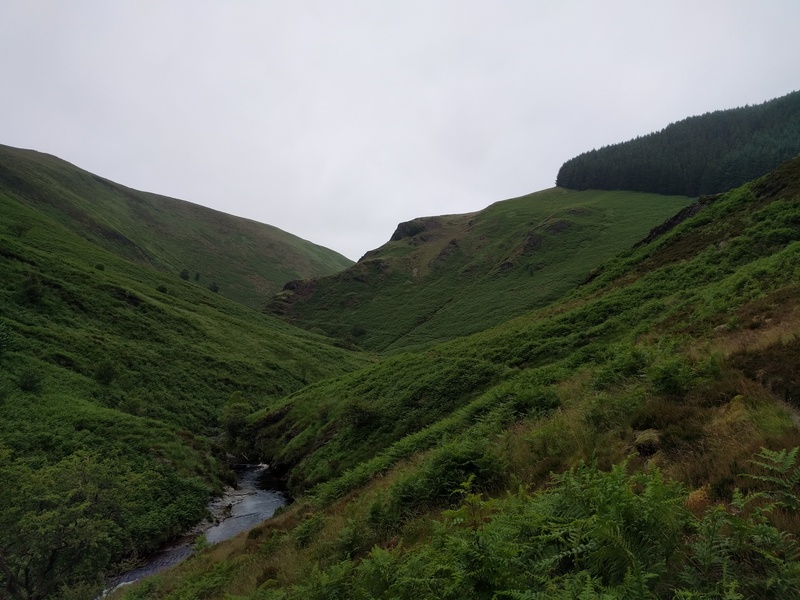 Finally, I headed out of town gently climbing along a country lane for a few miles – an ideal way to get the legs going and gain a bit of height at the start of a walk. 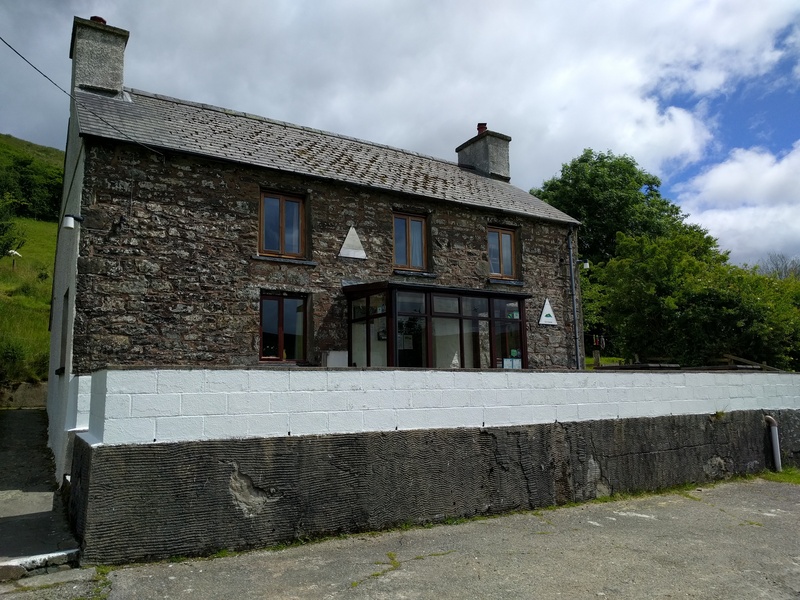 It took me until lunchtime to get to Rhandirmwyn and after a bit of indecision I climbed up into the village for the pub only to find it closed (ah, the old rural “closed Monday lunchtime” thing). I’m not making this up, but a NUN rocked up a few moments later and seemed really upset that the pub was shut. 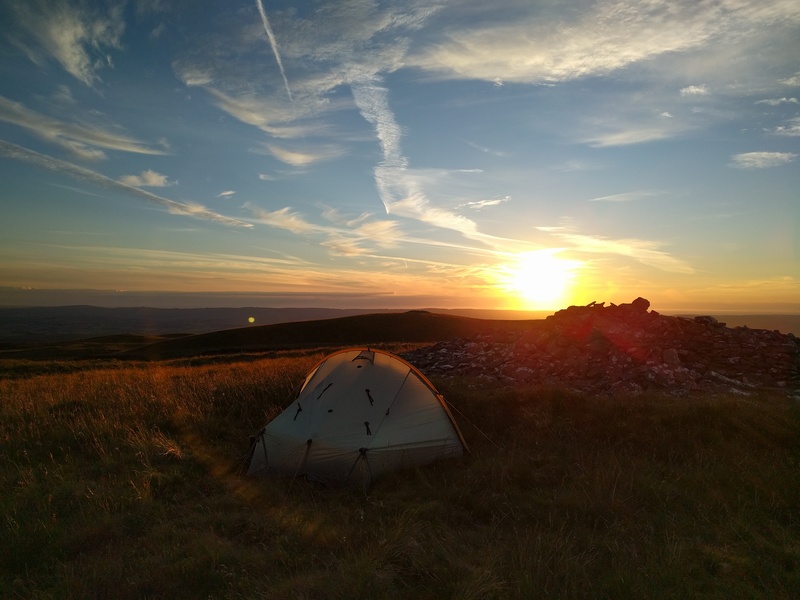 I headed back down the hill and fought off the temptation of the campsite. 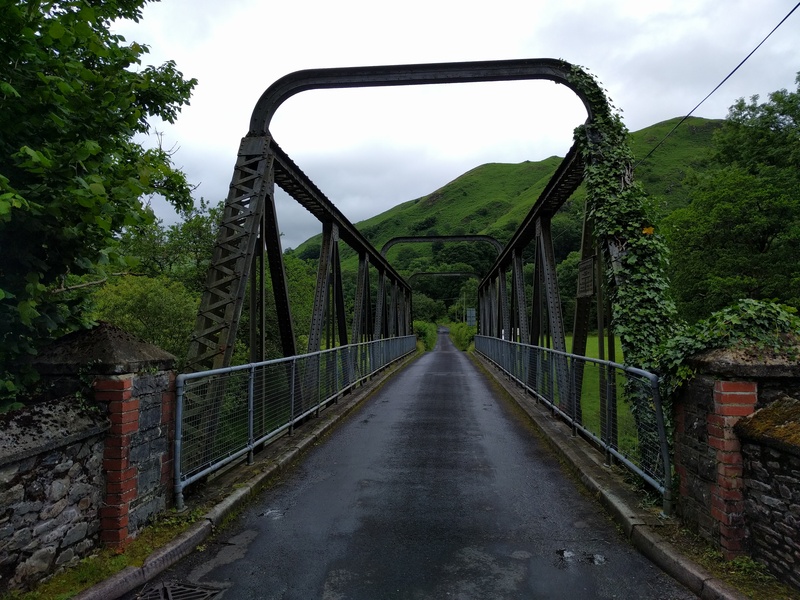 A stroll along the river brought me to Towy Bridge, the first of the official Cambrian Way checkpoints on this section. More importantly, right next to the bridge is the Towy Bridge Inn. And it was open. A pint of cider was enough to almost send my sleep deprived carcass unconscious, and it was quite a struggle to drag myself up and on my way. I crossed the bridge and made for the end of the road and the start of the Doethie Valley. A long awaited treat. The treat turned out to be a feast of green, mostly in the form of sodden bracken. The attraction wore off a bit. 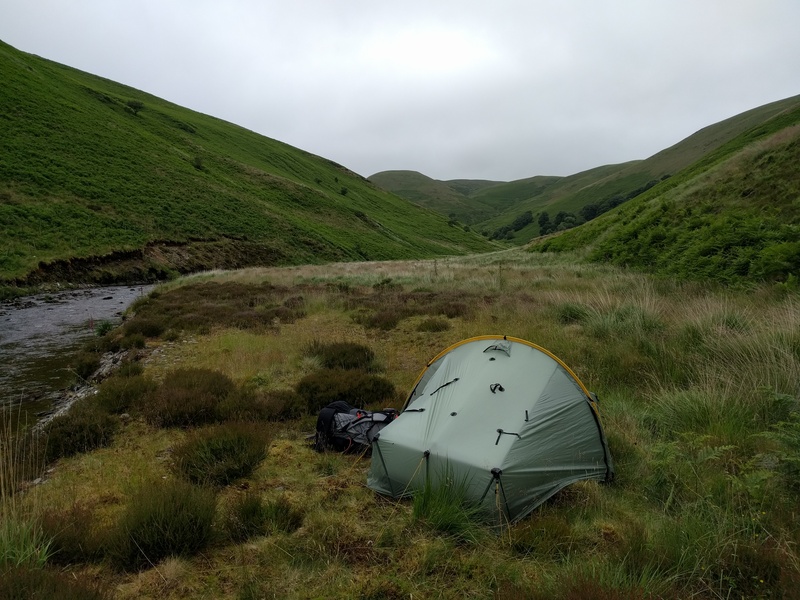 Keen for the walk to be over for the day, I started looking out for suitable camp spots, inspecting one quite closely before deciding it wasn’t any good, and then finding one next to the river below Esgair Gwair. The new day didn’t seem that promising, being a continuation of the grey conditions of the day before. I carried on up the valley, encountering my first (and, it turned out, last) walker. We chatted for quarter of an hour or so and parted. Soon I was at Ty’n-y-cornel and making a brew and having a rest. Another reluctant start but things improved as I left the Doethie behind and made by way over grass to bag Esgair Cerrig. Making a beeline straight to the opposite side of the road, I also picked off Esgair ffrwd too, although not without a bit of bog trouble. Deciding to stick to my planned route rather than go cross country, a bit of futile descent and re-ascent got me on the slopes of Garn Gron. The usual end of day motivational struggle then ensued as I inched my way up the hill. It was worth it though. 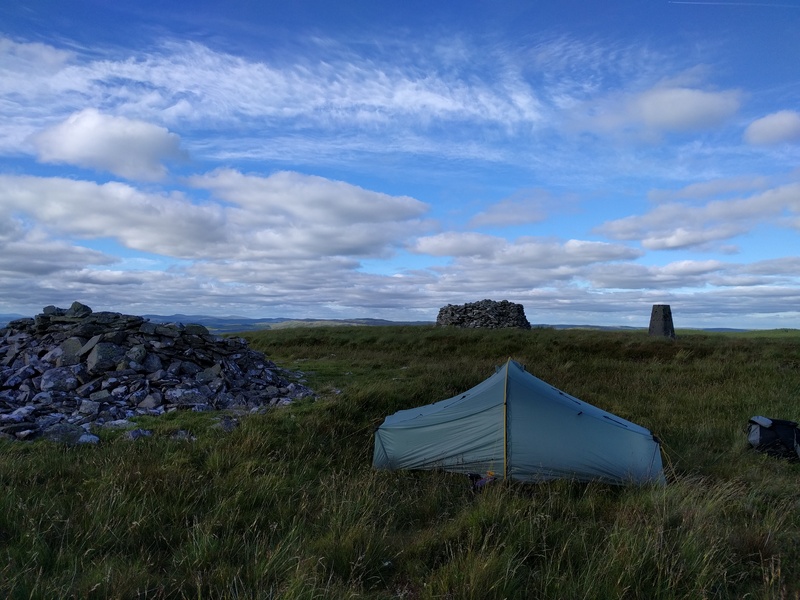 At the top of Garn Gron, I was greeted by a couple of cairns and a trig point. And not forgetting a view south to the Brecon Beacons and Carmarthen Vans. To the west, the sea, while north was Plynlimon and the faintest suggestion of Snowdonia beyond. I got Monica up and what wind there was then seemed to drop, leaving me a clear evening with a decent sunset. I woke around 4am and took a peek outside: light creeping into the sky. But also cloud below me threading its way through the valleys. Worth getting up early for. The descent of Garn Gron was straightforward but one of those walks that takes longer than it looks like it should. 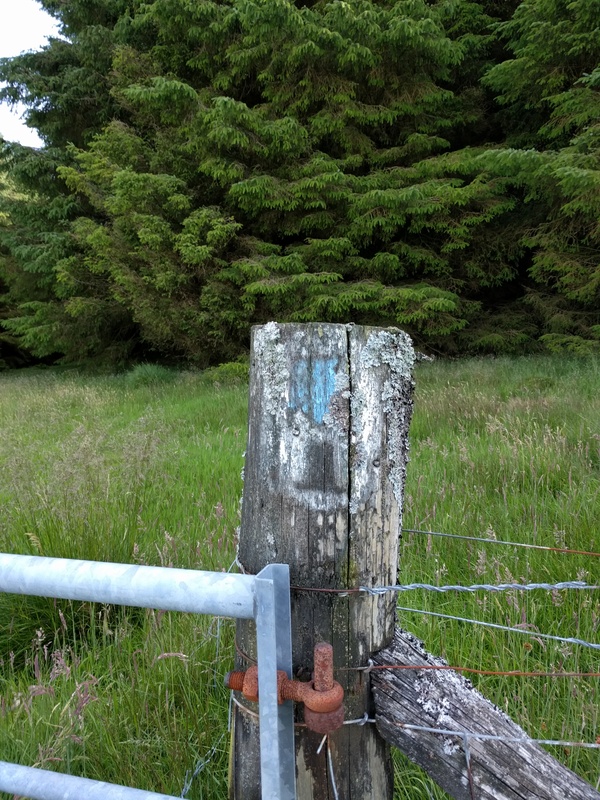 Eventually though I found myself at a gate into the forest, and one of the very few Cambrian Way waymarks on the post. 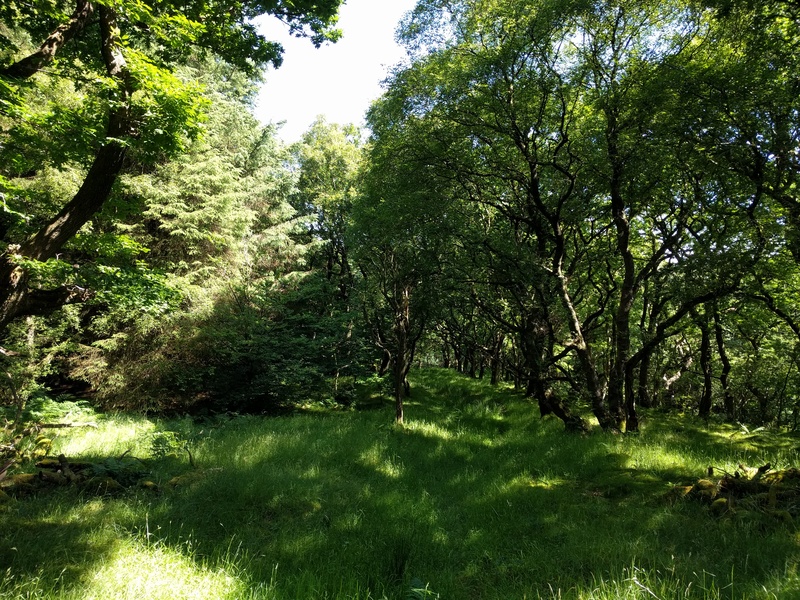 The walk through the forest was wet, moisture retained in the shade of the trees and grass growing vigourously. Throw in the fact that it’s a bridleway and what path there was was a right mess. It was a relief to find myself on a proper forest track for a while. 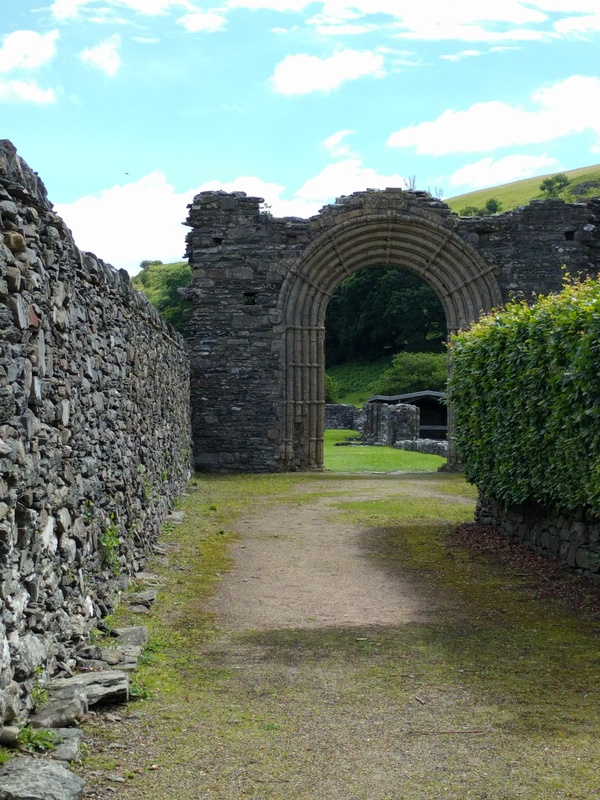 I emerged from the forest with a few fields to navigate to arrive at Strata Florida. I’m almost tempted to walk this section again, just to enjoy it more. Almost…but not quite. I will instead enjoy reading your experience and gaze with envy at the blue sky in your photo’s. By the time I reached that forest gate beyond Garn Gron I was so glad to see something resembling a track that I never even noticed the sign on the gate post. 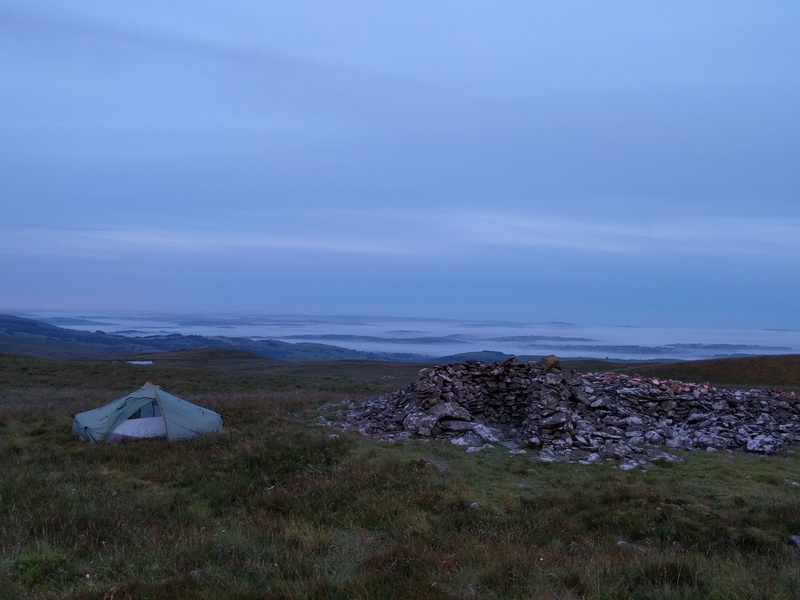 It’s amazing what you miss when it’s misty and wet and your head’s down. By the way, what’s on the tripod tucked behind your chest strap? It’s a Garmin Virb action camera. You’ll see the results of that shortly. I only spotted the sign because the guide book said it was there.